Hose Reels & Parts | Kiowa Ltd.
We have selected our broad range of industrial hose reels from some of the worlds leading and respected manufacturers such as Reelcraft and our own Kiowa Brand hose reels, Nakoda hose reels for air and water. These include spring rewind, slow retraction hose reels, manual and power rewind constructed in either industrial grade Polypropylene, yellow powder coated mild steel & stainless steel in various grades. Kiowa tool balancers have been designed to carry varying load capacities specifically for assembly lines and work stations. Units are manufactured with die cast aluminium cases and are ideal for heavy working cycles. Ideal for use with impact wrenches, screw drivers and most air operated workshop I assembly line tools. 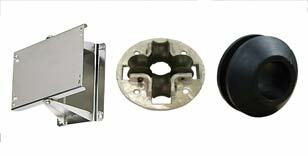 Pivoting wall brackets, roller guide assemblies, hose stoppers and tool balancer. We also have a spare parts programme for all our manufactured hose & cable reels, giving our customers peace of mind for the long term.